Are you interested in making your fist skydive? Are you already a licensed skydiver looking for a place to jump? Are you hoping to become a licensed skydiver? Obviously, this line of questioning is going somewhere, and that’s straight north to Madras where you will find Skydive Awesome! (the exclamation point is theirs). Skydive Awesome! is an adventure skydiving school providing the thrill of jumping out of perfectly good airplanes to jumpers of all experience levels. At Skydive Awesome! 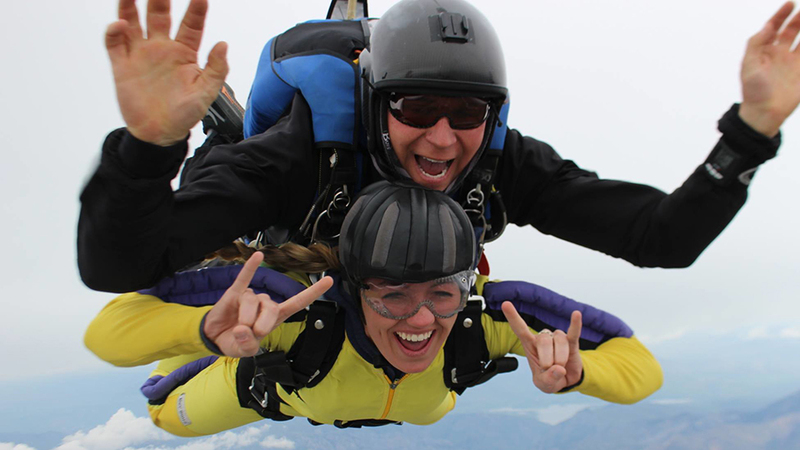 you can take your first leap into parachuting with a tandem skydive, where you are harnessed to an instructor who will guide you every step of the way. Once you’re completely addicted to the freedom of flying, you can learn to skydive on your own through their Advanced Skydiver Training program. Skydive Awesome! is stoked to provide a USPA drop zone to licensed skydivers in Central Oregon, where you can advance your skills and fly with awesome friends at the Madras Municipal Airport . Explore What's Near Skydive Awesome!